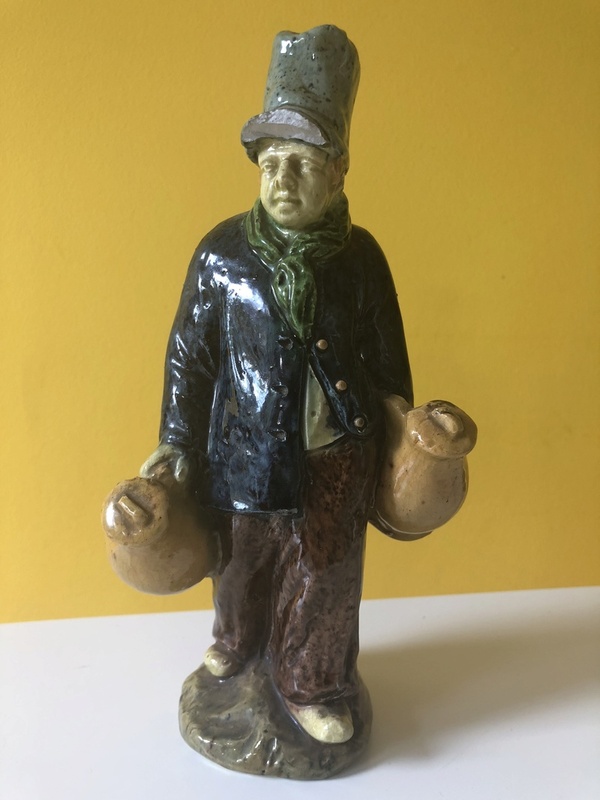 Dutch or Dickensian looking Stoneware figure Unmarked?? This has been sitting on my shelf - as many items do - without me knowing what to do with it! He is a little battered - but charming - and naturally - I've no idea who made him! 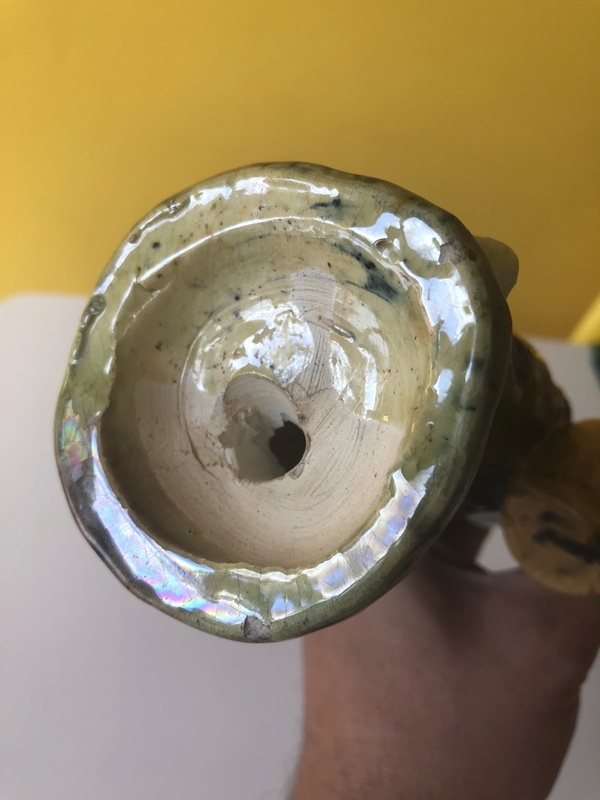 He looks Dutch - but also Dickensian, maybe a character... Mottled glazes throughout with a lustre too... any ideas would be appreciated! 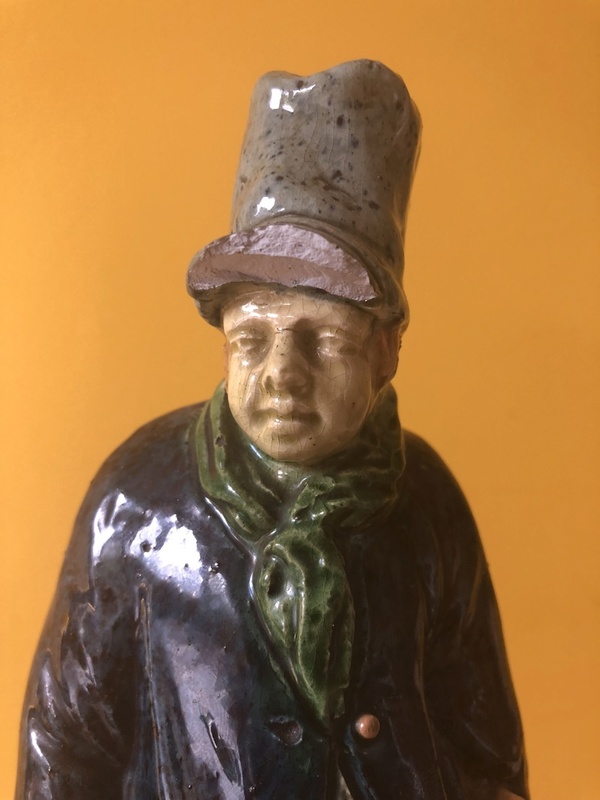 Re: Dutch or Dickensian looking Stoneware figure Unmarked?? the modelling is high quality and what a face!! Lovely modelling. Late 19thC? Belgium? I do think its old.. and possibly overseas.. any other ideas? I agree probably Belgian, perhaps Laigneil or Noseda factories.